Feel free to browse the official online store of Imagination Overdrive. No, it’s fine… Really. We understand. 45 Fun stickers for you to use in your iMessage app! 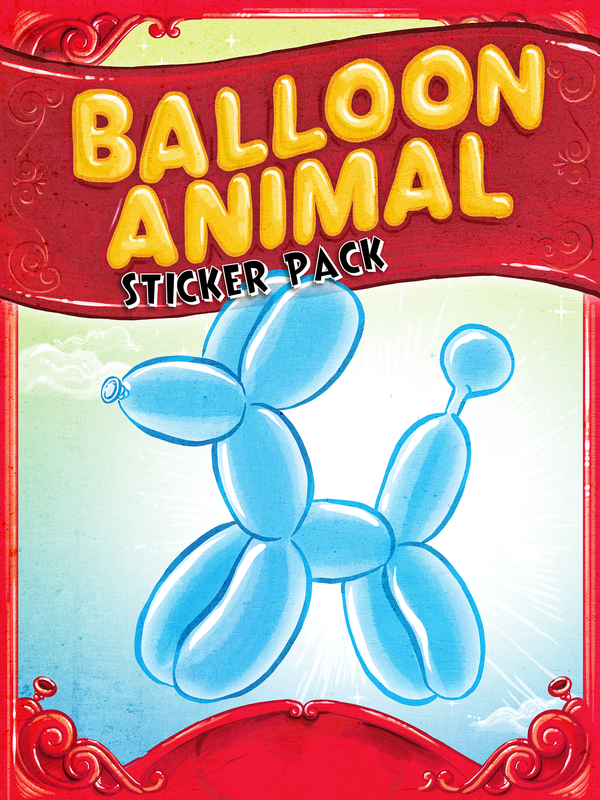 Finally, you can add in the whimsical magic of our iconic balloon dog in 14 vibrant colors into your messages conversations! Click HERE for use instructions. Click the photo for more information! 101 Balloons, Video Training, Full Color Instruction Manual, a Professional Quality Double Action Air Pump, a BIC Marker, Googly Eyes, Eye Stickers, Balloon Dog Vinyl Window Decal. Click the photo for more information! 50 Balloons, Video Training, Full Color Instruction Manual, and a Professional Quality Double Action Air Pump. Click the photo for more information! This bag contains QUALATEX balloons, You get 100 balloons of our exclusive color mix. Click the photo for more information! 101 Balloons, Video Training, Full Color Instruction Manual, and a Professional Quality Double Action Air Pump. Click the photo for more information! Our clever, virtually unbreakable air pump. Perfect for destructive kids. Click the photo for more information! 25 Balloons, Video Training, Full Color Instruction Manual, and an unbreakable Air Pump. Click the photo for more information! Our hand-built Double-Action Air Pump.